Sundial at the Dechantskirche in Altenmarkt. The figure represents a Madonna for which the church is famous for. One can see a copy of this statue at one of the side altars in the church. 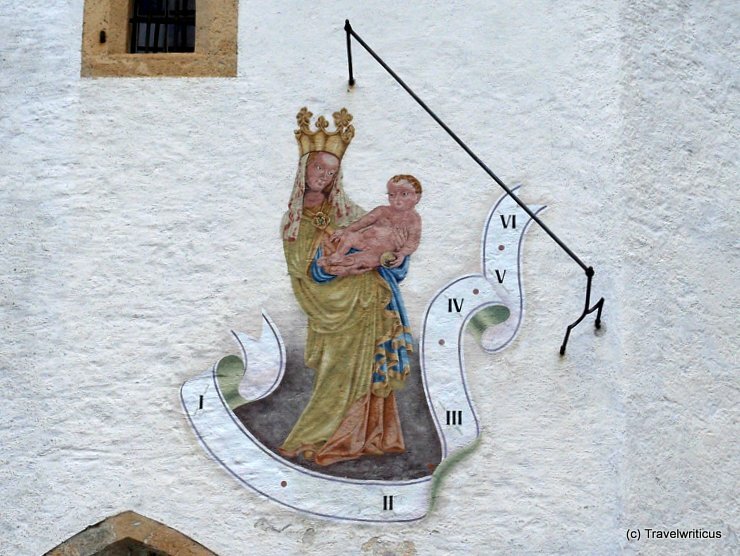 This entry was posted in Sundials and tagged Altenmarkt im Pongau, Austria, Pongau, Salzburg by Travelwriticus. Bookmark the permalink.